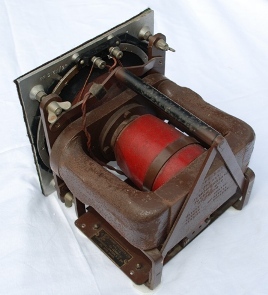 The Voigt Mains Energised drive unit was first available with a single-cone diaphragm from Edison Bell in 1931. 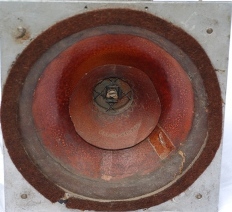 This unit had a high electro-acoustic efficiency of between 25-35%. 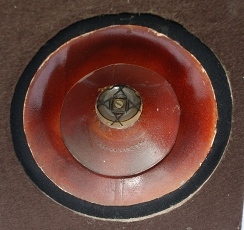 Voigt was granted a patent in July 1934 for the design of his twin-cone diaphragm. This new design extended the frequency response from the previous upper limit of 4 KHz to above 12 KHz. 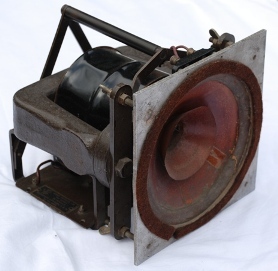 The cost of the Mains Energised unit in 1936 was £14-10s-0d (single diaphragm) or £15-0s-0d (twin cone). 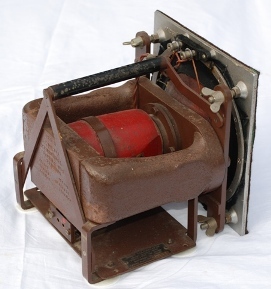 The Voigt permanent magnet drive unit made its debut in 1949. This was the culmination of a patent application entitled "Improvements in magnets" which was lodged in March 1947 and granted in June 1949. This driver utilised a massive centre block of Ticonal, which gave a flux density of 18,000 gauss in a 1.5 mm gap. This drive unit could be supplied with either the standard twin diaphragm in a 2 mm gap at £36, or the light coil twin diaphragm in a 1.5 mm gap for £40. 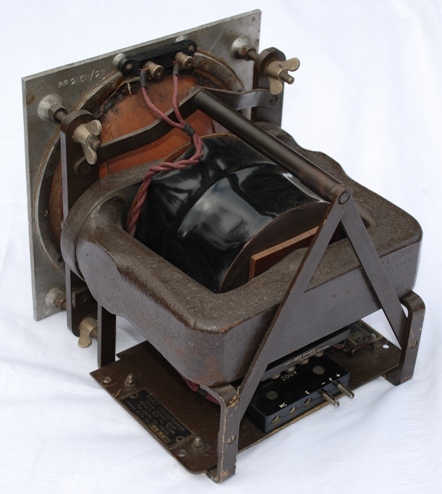 Later units were fitted with a 1mm air gap and had a 22,000 gauss density. 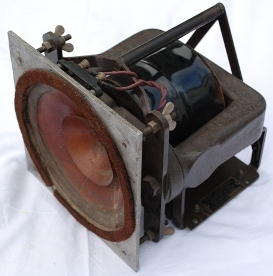 In 1951 an improvement on the light coil twin diaphragm was made, which resulted in the "re-matched diaphragm". 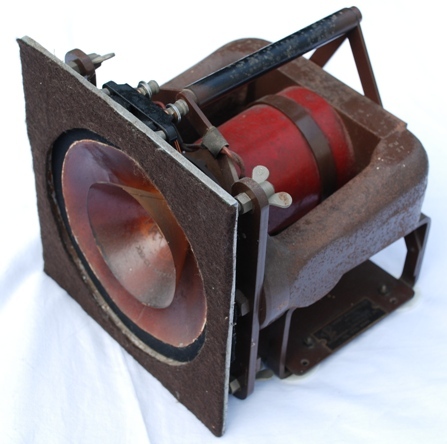 This had a different speech coil with a two-layer winding, which made it Smaller and lighter.